This post is sponsored by Ergobaby. As always, all thoughts and opinions expressed are my own. 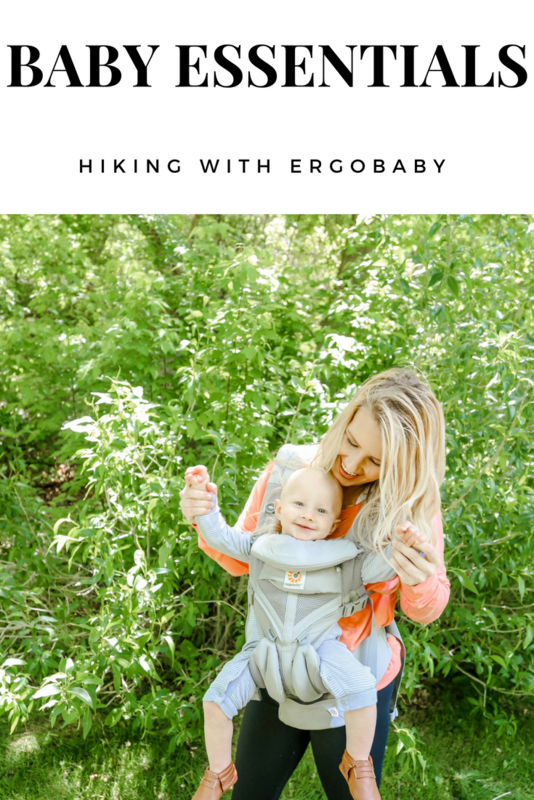 A couple weeks ago we had the chance to head to an Ergobaby event to test out the brand new Ergobaby Omni 360 Cool Air Mesh baby carrier. 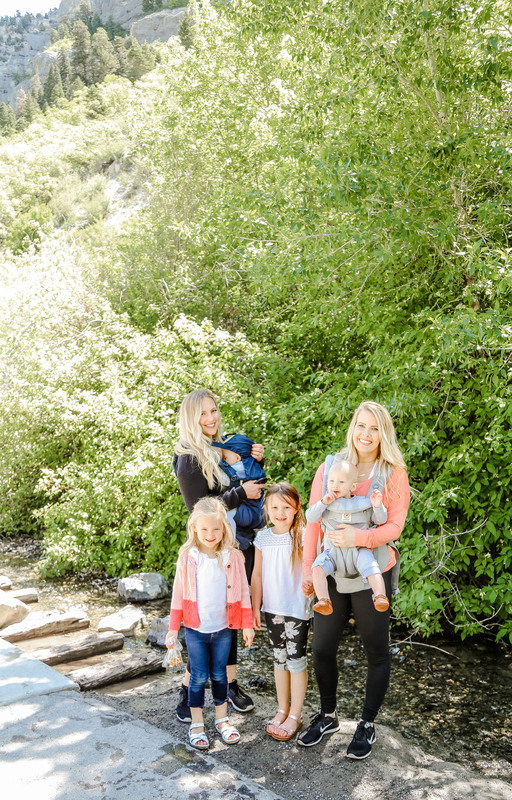 It was taking place at one of our family favorite hikes in Utah, Bridal Veil Falls. #1 it’s pretty close to where we live, #2 it’s easy for the whole family to enjoy, & #3 you end at the most gorgeous falls. So it was a win – win for me. Over the years I have seen friends rave about their Ergobaby carriers & I knew I needed to try it out with Ty. I grabbed the Pearl Grey option & I love that they carry so many neutral, stunning colors. 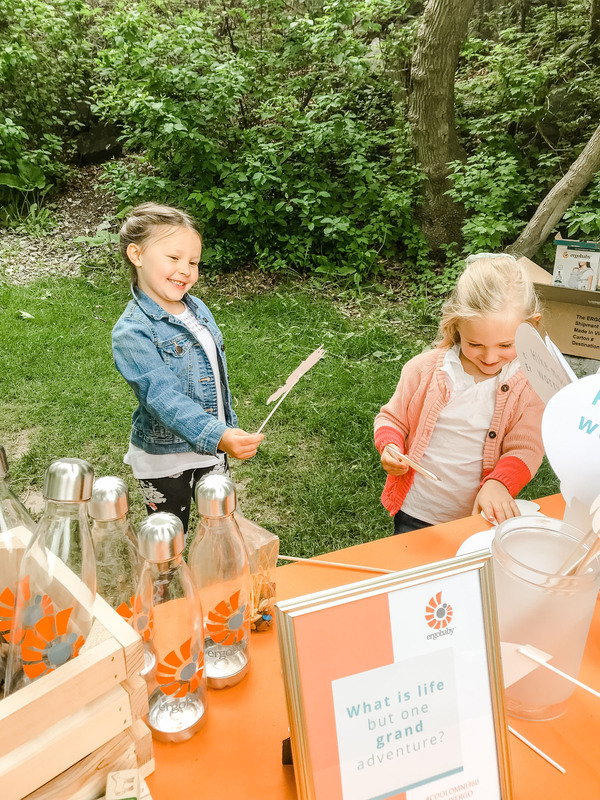 We brought along a couple of friends and the girls had an absolute blast posing for pictures with all of the fun props! Ty & his buddy, Briggs, are just a few months apart. My friend, Lindy, and I chatted along the hike about all the bells and whistles these carriers have. They are amazingly comfortable to wear. She held Briggs facing her (and was able to nurse) & I held Ty facing out. You could also have them on your hip or back. 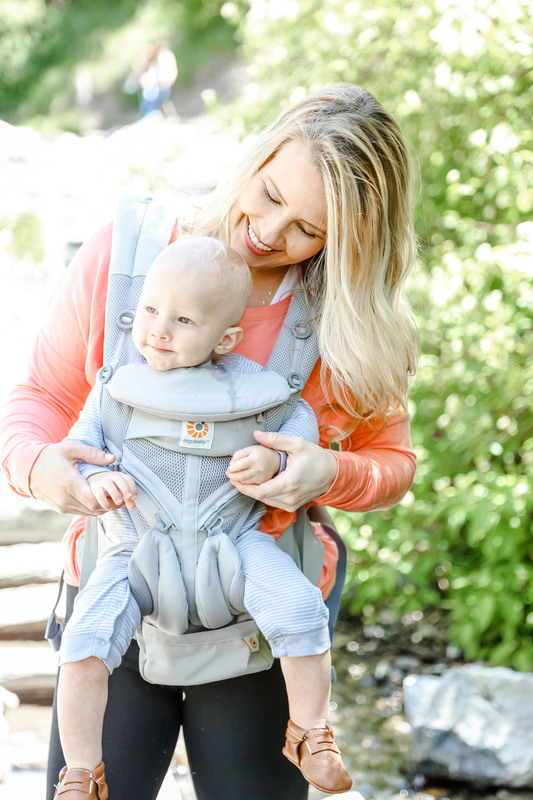 While the kind Ergobaby employees were helping us make sure we were all set and wearing them correctly, they emphasized having our babies in the “M” shape which supports hip-healthy shape position. Lindy is wearing the Midnight Blue option & see that flap over Briggs’ head? Silly, but that might be my favorite part in addition to the lumbar support. My baby is so fair & any hair that he has is bright blonde, so I need him shaded while we are hiking this summer. There are easy switch sliders to move your baby to forward facing or outward facing. It is cooler for the baby with the mesh panel. 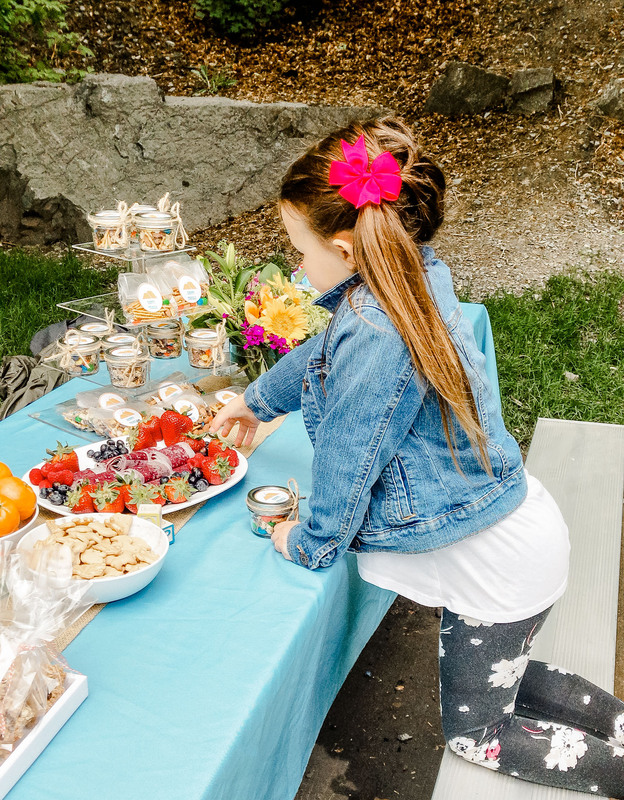 How cute are all of these treats?! 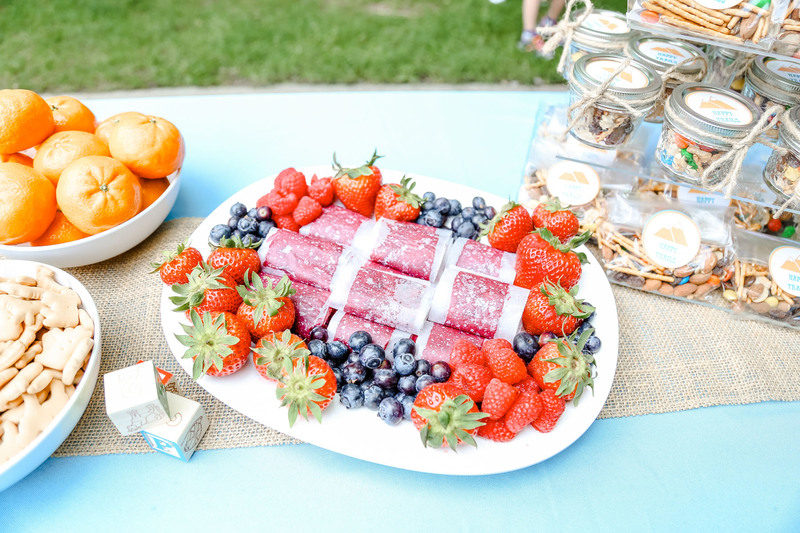 These fruit leathers were amazing and homemade. I could have snacked on these all day. 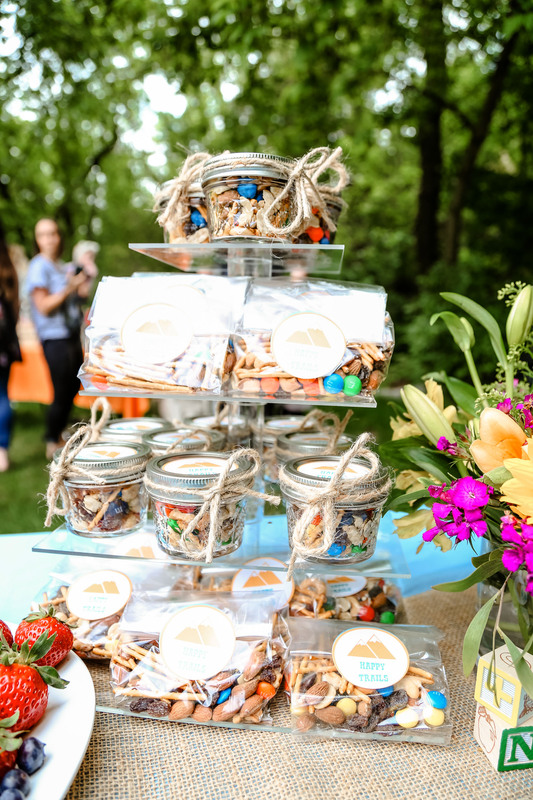 All of the happy trails packages and jars were so darling. With Ty being the youngest of 4, he needs to be in a carrier for the hikes that we do in the summer, as well as some everyday outings. I have so much peace of mind with him on me, especially on this walk. 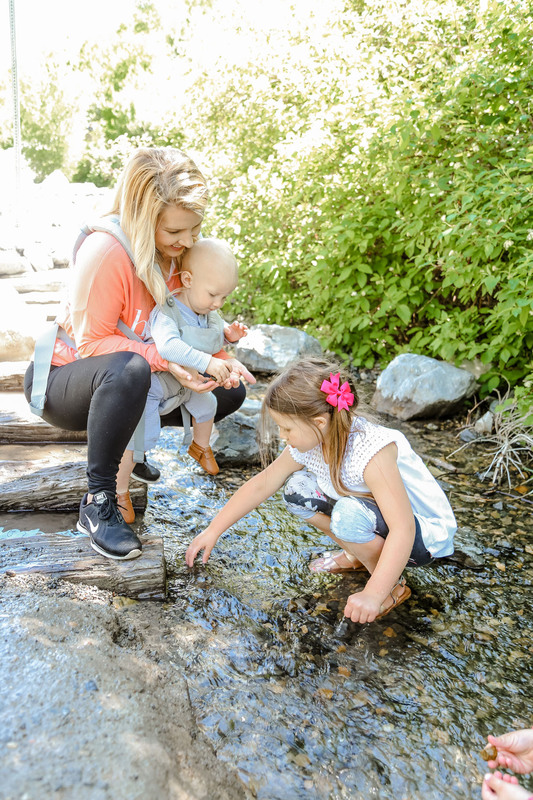 While the falls aren’t deep, the Provo River runs right along the path and during the summer it is extremely high and fast. If you go on walks or hikes like this one, please be overly cautious and have all your babies as close as you can, if not attached to you. Ty did pretty well and I loved having my hands free to be able to feed him, or help his sister. She’s also a huge help to me, might as well call her mini mom. 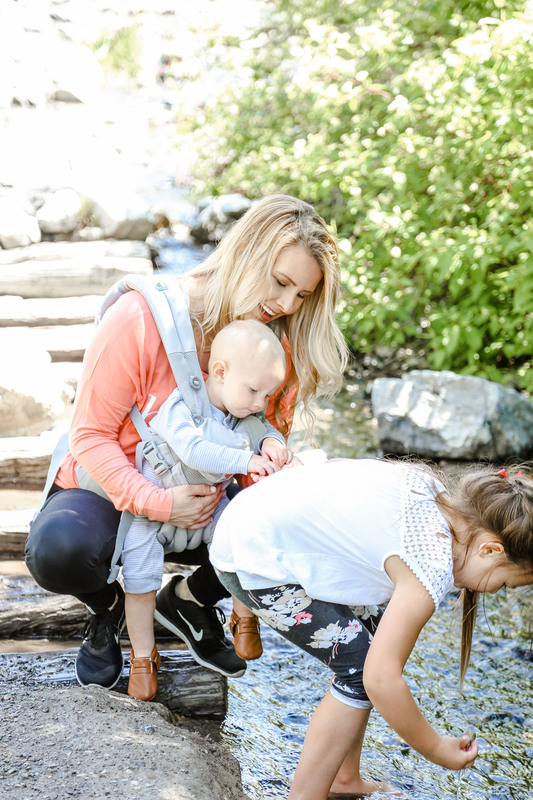 We absolutely love the outdoors and love hikes that end with water. 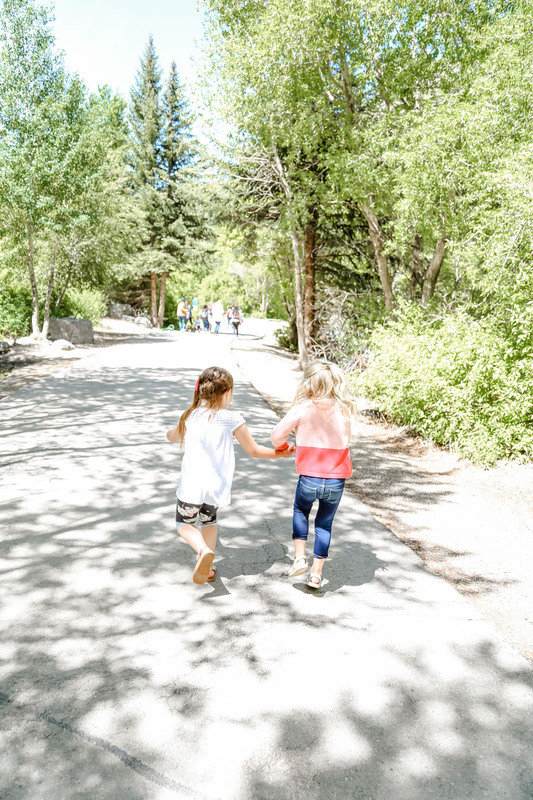 We love exploring along the way and taking our time because some little legs can’t move as fast as others. 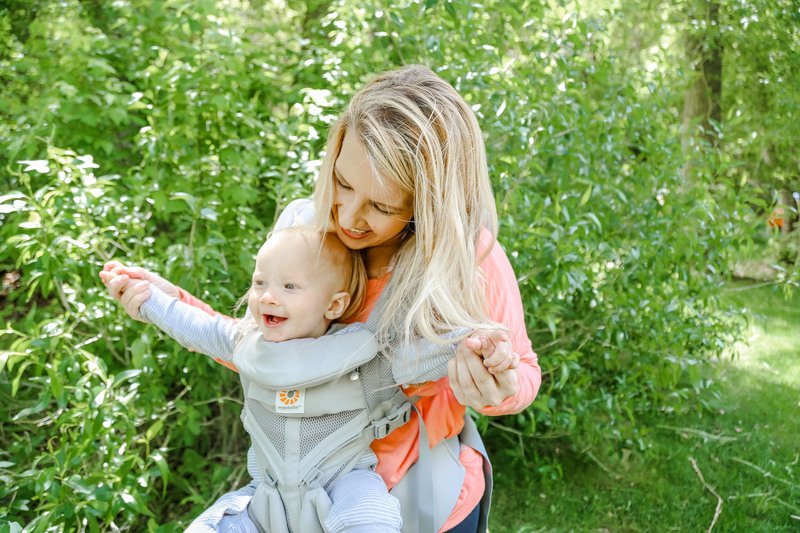 Using a carrier is great to be able to bend down and let them be close without getting wet and muddy, or attempting to eat whatever they pick up. 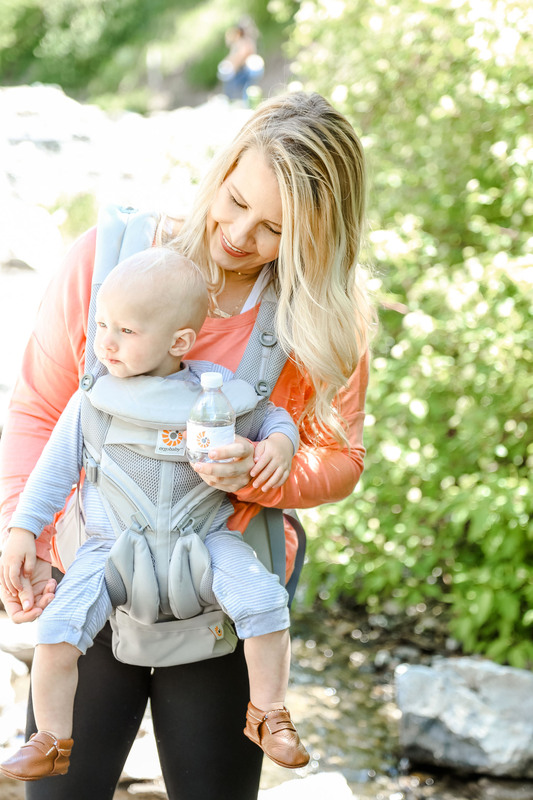 These are kid friendly, mom carrying baby friendly, I did a few while pregnant (I’m not saying you should or shouldn’t, you know your own body), toddler friendly. We don’t go on huge hikes so our backpack consists of lots of water, lots of snacks, rubberbands & a brush for the girls hair, bandaids, and sunscreen. 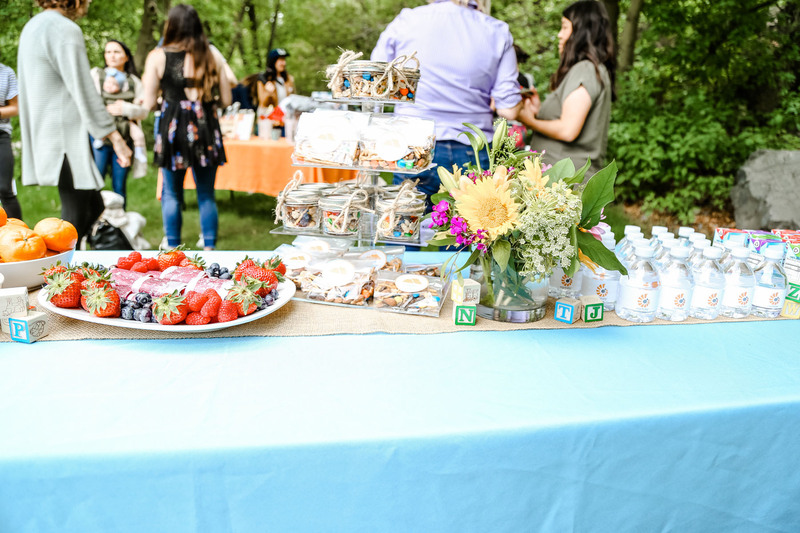 Thank you so much to Ergobaby for throwing this amazing event!